This section of our technical library presents information and documentation relating to ACD Software and products. Automatic call distribution systems are the heart of inbound call centers. ACD systems are call routing utilities for incoming calls and can be even used to route calls originated by our predictive dialer to the next available agent. Our PACER and Wizard phone systems comes with a complete automatic call distribution system for call routing. The PACER and Wizard ACD system and automatic call distributor can route calls based on the dialed phone number (DNIS) and the time of day. Additionally, the PACER IVR system can intelligently route calls using complex conditional logic. Skill-based routing has been in use over 5 years now and more than 10,000 contact centers worldwide have gained its advantages to improve customer service quality and to enhance performance. When skill-based routing was first introduced, most of the focus was spend understanding how it would improve customer service. Now, with all the experience from users, we have a much clearer picture of the myriad of performance enhancements, including productivity increases, available. This is excellent news, because your customers have extremely high expectations of receiving fast, friendly and knowledgeable service. With so many reasons for customers to call � to receive product support, to place orders, to make inquiries, and so on - and with so many fluctuations in call volumes, contact center managers are often severely challenged, especially in an ACD environment, to figure out how many agents to assign to each queue and which agents have the appropriate skills to deal with various types of customer calls. The limited flexibility of ACD can expose your contact center to a serious threat - the potential for customer, agent and management frustration, leading to lower customer and employee satisfaction and, in turn, decreasing revenues. The first step is to determine your caller�s identity and reason for calling. 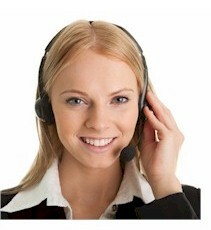 Then skill-based routing can direct the caller to the most qualified available agent immediately. This is more granular than a queue, where a group of customers calling for a similar reason waits in line for the first available agent to take the next call. At the same time, agents are placed into pool, or queue, where all are trained with the same skills. Skill-based routing intelligently connects your customer to an appropriately trained agent who is most likely to provide the service the customer requires. This connection can be taken to the one-to one level, when necessary. Think of this from your customer�s viewpoint. You notice the difference immediately. Your waiting time is reduced, you get to a knowledgeable person much more quickly and you are more likely to get your issue resolved on the first call. This is the excellent customer service you expect. All of the above improves the quality of customer service to increase customer satisfaction. For example, TARP, a specialist and innovator in the measurement of customer satisfaction and loyalty, has identified that handling a call on the first contact will deliver 10% higher customer satisfaction while lowering costs by 50%. But this isn�t all. The other half of the skill-based routing equation is the ability to recognize your agents� valuable contributions and treat them as individuals. With skill-based routing, your agents are no longer assigned to queues � the system recognizes their unique abilities and then can match them to caller�s needs. This helps to distribute the workload more equitably than queues and ensures optimal sharing. Freeing agents from queues and allowing them to develop distinctive sets of skills ultimately leads to a greater sense of value and job satisfaction. Think of this from your agent�s viewpoint. Your individual contributions are now recognized and you will be more fairly and accurately evaluated and coached. You now have more options for job development because you can take the initiative to add new skills that keep your job interesting and expand your knowledge. You enjoy your job more and you stay longer. You see the workload balanced to treat everyone more fairly and the pressure is relieved. Training is faster and more straightforward, so you can ease into your job and/or new skills with confidence. Skill-based routing can help you revitalize your contact center by giving your management more flexibility to maximize staff productivity, reduce call handling times, reduce training times, support better incentive programs and lower operating costs. Intelligently distributing calls to agents, reducing unnecessary hands-offs and transfers and enabling agents to become specialists gives you cumulative results that make your contact center appreciably more effective. Think of this from your contact center�s perspective. Call resolution improves because calls are directed to the most appropriately skilled agent the first time. Customer expectations are met or exceeded, increasing customer satisfaction. For example, a US utility was able to increase its first call resolution rate to 98%.Additionally, TARP, along with other organizations who focus on customer service quality, has measured direct links between problem handling and revenue. For example, a business-to-business distribution company in Europe found that 9% of its customer base was at risk due to the poor way customer questions and problems were handled. Overall call processing time is faster, minimizing wait times. This reduces the cost per call while delivering quicker, more efficient service to your customers. For example, a US business-to-business technology provider was able to reduce customer hold time by 89%. Balancing the workload can maximize staff productivity. In many contact center implementations skill-based routing has been shown to increase productivity by 25% or more. For example, using skill-based routing a Canadian utility was able to handle a 30% increase in call volume with zero staff growth. A Las Vegas hotel and casino was able to reduce its call abandon rate from 20% to 4%. A US integrated communication provider was able to reduce customer wait times without the need to hire contact center staff. And, a US based consumer and business-to-business technology provider experienced a 100% increase in agent call handling. Your customers receive fast, consistent, knowledgeable responses to their requests with a high probability of getting resolution on the first call. Your agents provide more specialized customer service and can expand their qualifications to handle multiple call types. Their workday is more satisfying and they enjoy equitable distribution of inquiries across the workforce. They are treated as individuals for coaching and development. This boosts job satisfaction, reduces turnover, and provides a path for future career growth. Your contact center has the tools to boost productivity and maximize performance, leading to improved profitability. Betsy Wood, Marketing Manager, Nortel Networks Customer Contact and Voice Portal Solutions, helps innovative companies create a seamless customer experience. Wood�s experience includes fifteen years of enterprise solutions (call center, CTI and CRM) marketing, sales and consulting with Nortel Networks in Asia Pacific, North America and Europe.